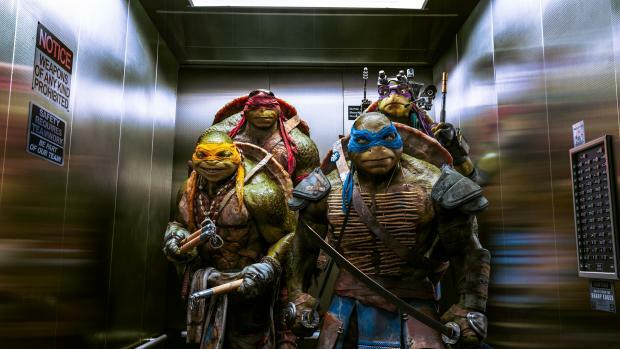 Michelangelo, Donatello, Leonardo, and Raphael return to battle bigger, badder villains, alongside April O’Neil (Megan Fox), Vern Fenwick (Will Arnett), and a newcomer: the hockey-masked vigilante Casey Jones (Stephen Amell). 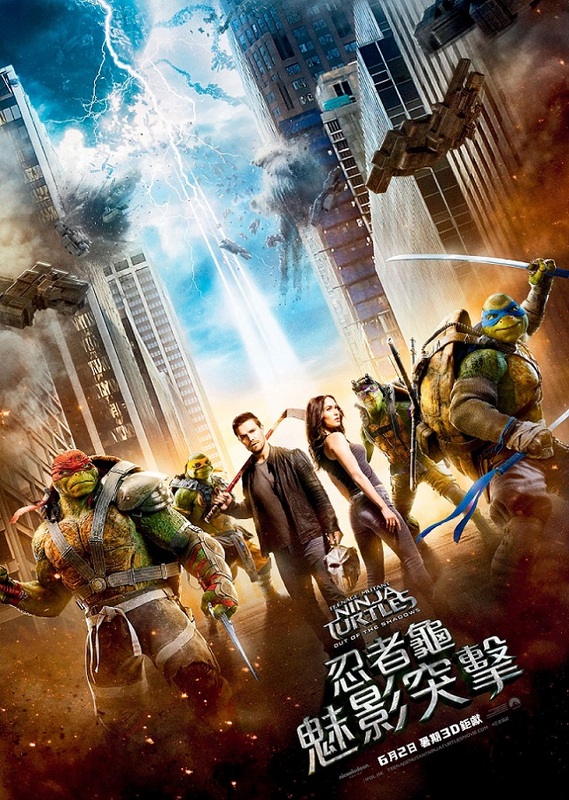 After super villain Shredder (Brian Tee) escapes custody, he joins forces with mad scientist Baxter Stockman (Tyler Perry) and two dimwitted henchmen, Bebop (Gary Anthony Williams) and Rocksteady (WWE Superstar Stephen “Sheamus” Farrelly), to unleash a diabolical plan to take over the world. 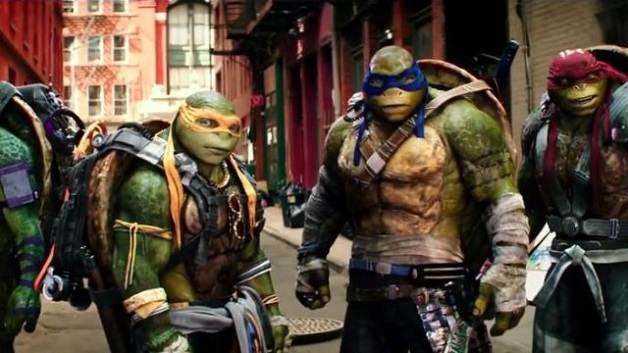 For all the fans of the Teenage Mutant Ninja Turtles, they are back with another installment entitled “Out of the Shadows”! This movie is targeting a certain audience and it is a no-brainer despite we always think it is too violent for Nickelodeon’s audience. The humour is pretty lame as expected but they know their audience we suppose. Every line of humour is so predictable and the villains are very tongue in cheek without much substance, but that is the history of this movie franchise. As the Turtles prepare to take on Shredder and his new crew, they find themselves facing an even greater evil with similar intentions: the notorious Krang who is equally ridiculous, so suspend all pretence and just enjoy the ride, if you can. Directed by Dave Green (Earth to Echo) , written by Josh Appelbaum & André Nemec (Teenage Mutant Ninja Turtles, Mission Impossible: Ghost Protocol) and produced by Michael Bay (the blockbuster Transformers franchise, Teenage Mutant Ninja Turtles), among others, plus a supporting role played by Laura Linney no less (she takes it very seriously thank goodness), at least there is a bit of pedigree despite the movie trying to make sense with the ridiculous plots and offers plenty of mindless entertainment and silliness. This American style of film may or may not resonate with Asian audiences (only if you are an avid fan.) It was too long for our liking, but the special effects are technically impressive in the way modern CG has been used to bring the cartoon characters to life.